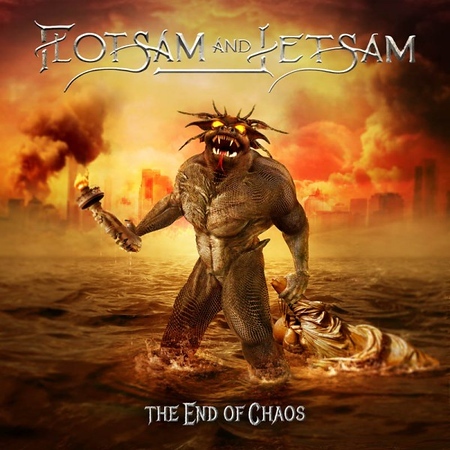 “The End of Chaos” is the thirteenth studio album from American band Flotsam and Jetsam and it is released on 18th January by AFM Records. It comes well over 30 years after the release of their debut album “Doomsday for the Deceiver” in 1986. There have been a few line-up changes along the way, but all thirteen albums feature the vocals of Eric ‘A.K’ Knutson. I included the track “Demolition Man” on the Friday NI Rocks Show on 11th January. Flotsam and Jetsam trace their roots back to 1981, but it was 1984 before the band settled on that name. By the time that the debut album was released in 1986, guitarist Michael Gilbert had joined AK in the band and those two remain now – although Gilbert left for about 10 years in 1999 and AK took a short break in 2001. That debut album also featured founding member Jason Newsted on bass just before he left to join Metallica. The other current members of Flotsam and Jetsam are bass player Michael Spencer who rejoined in 2013 (having spent a couple of years with the band in 1987/88), guitarist Steve Conley who replaced original member Edward Carlson in 2013 and newest recruit, drummer Ken Mary, who joined in 2017. There are twelve great tracks on the album, which Gilbert has called the band’s heaviest release to date.